Photographs from www.history.navy.mil All are thumbnail images, click to see higher resolution versions. 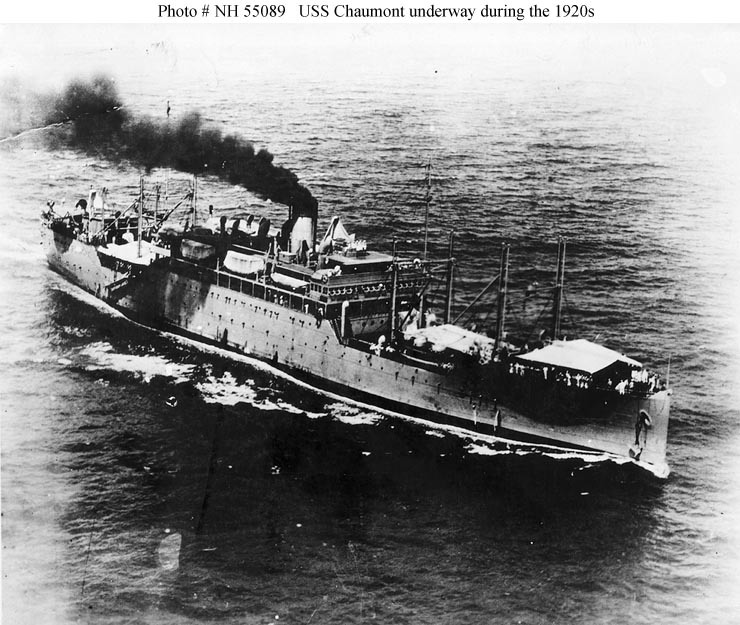 Courtesy of Captain F. L. Oliver, USN, 1927. 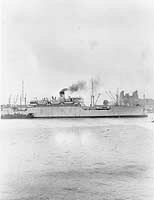 Alongside a pier in the 1920s or 1930s. Collection of BMC Ralph E. Turpin. 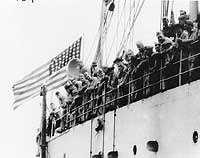 Photographed during the 1920s or 1930s while dressed with flags. 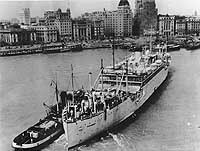 Note the enclosed area below the bridge, a recognition feature for this ship. Courtesy of D. M. McPherson, 1975. 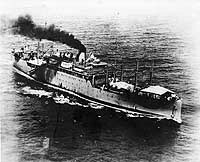 In Chinese waters during the 1930s. Courtesy of Mrs. Ulrika Mikel, 1972. 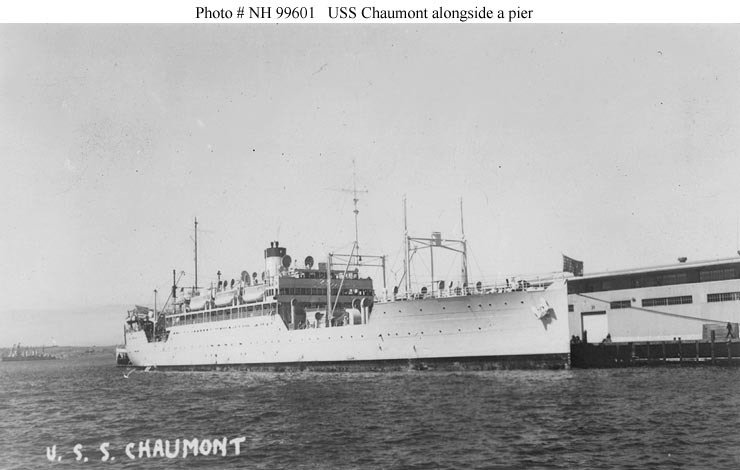 At anchor in the 1920s or 1930s. 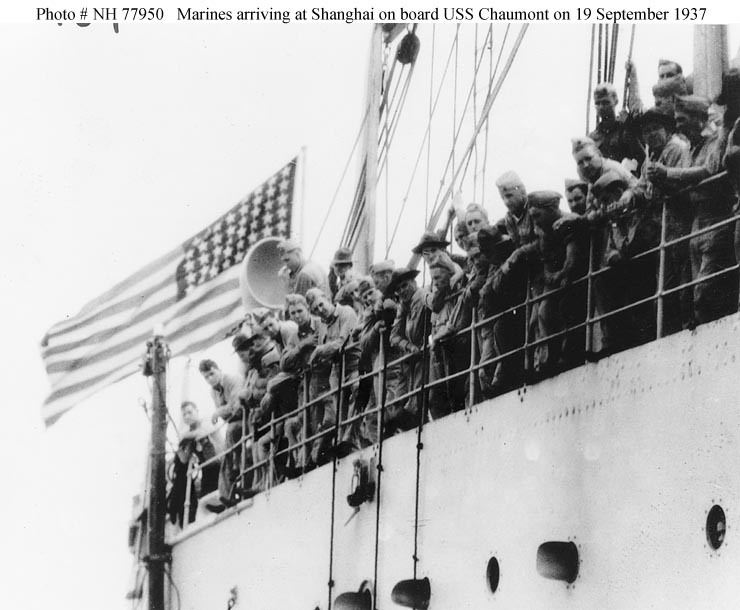 Arriving off the Bund at Shanghai, China, with the 6th Regiment, U.S. Marine Corps, on 19 September 1937. 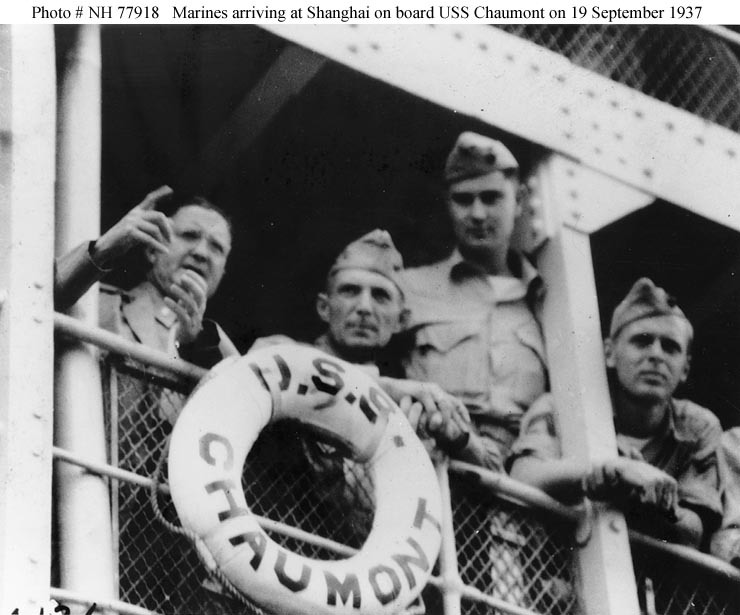 The Marines had been sent to reinforce the 4th Marine Regiment in guarding the U.S. sector of the International Settlement during the Sino-Japanese war. The tug is St. Sampson or St. Dominic. Courtesy of Vice Admiral M. L. Deyo, USN (Ret. ), 1973. 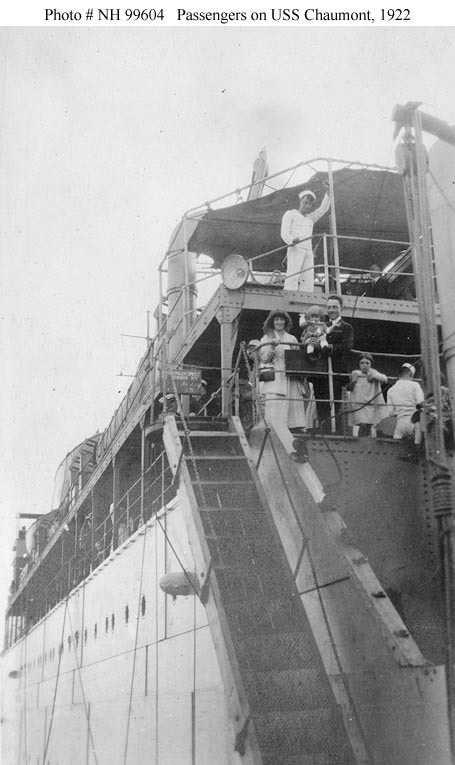 Passengers observing the ship getting underway, probably in 1922 at Annapolis, Maryland. 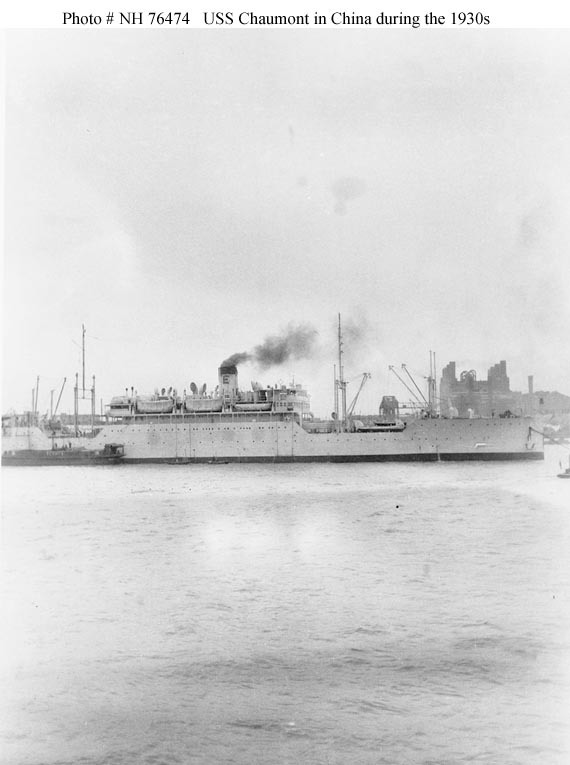 The view shows the after end of the amidships superstructure on the port side. The officer holding the child appears to be Lieutenant Commander Owen Bartlett, USN. 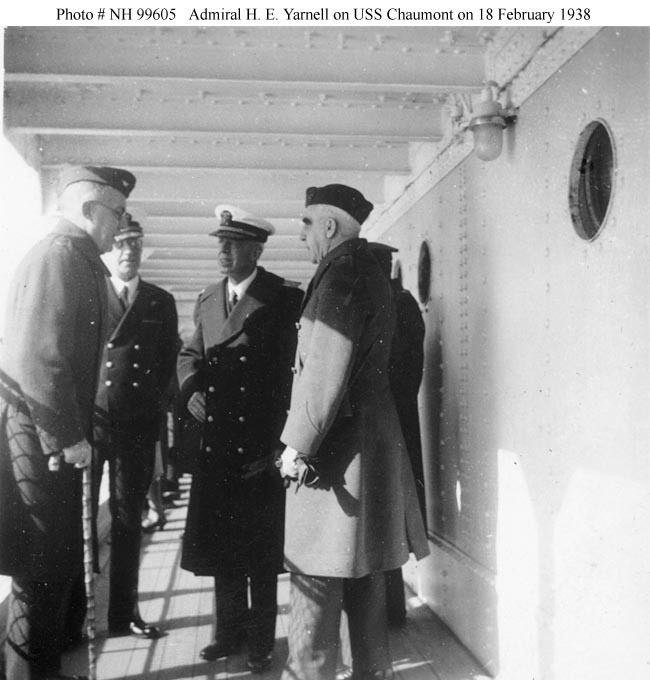 Collection of Rear Admiral Bradford Bartlett, USN (Ret.). Men of the 6th Regiment, U.S. Marine Corps, watching the ship arrive at Shanghai, China, on 19 September 1937. 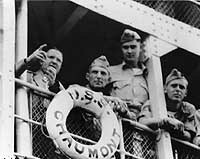 They had been sent to reinforce the 4th Marine Regiment in guarding the U. S. sector of the International Settlement during the Sino-Japanese war. Courtesy of Rear Admiral J. P. Walker, USN (Ret. ), 1973. 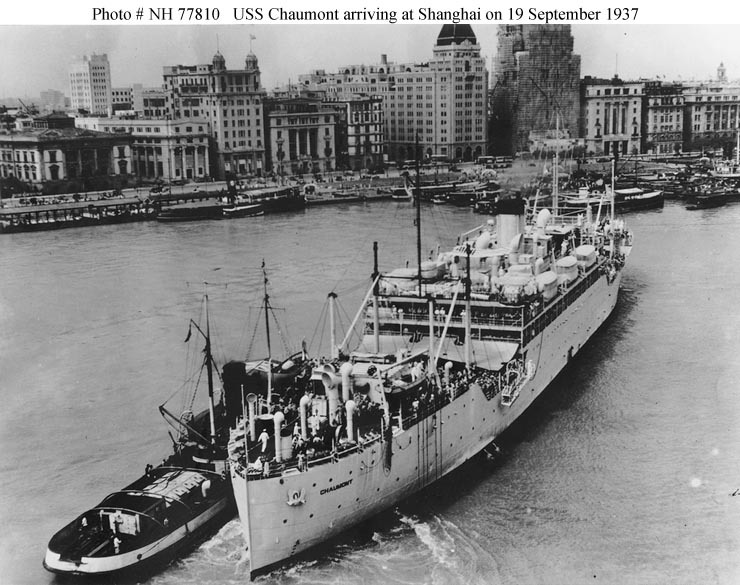 Mooring in the river at Shanghai, China, on 19 September 1937 with men of the 6th Regiment, U.S. Marine Corps, on deck. 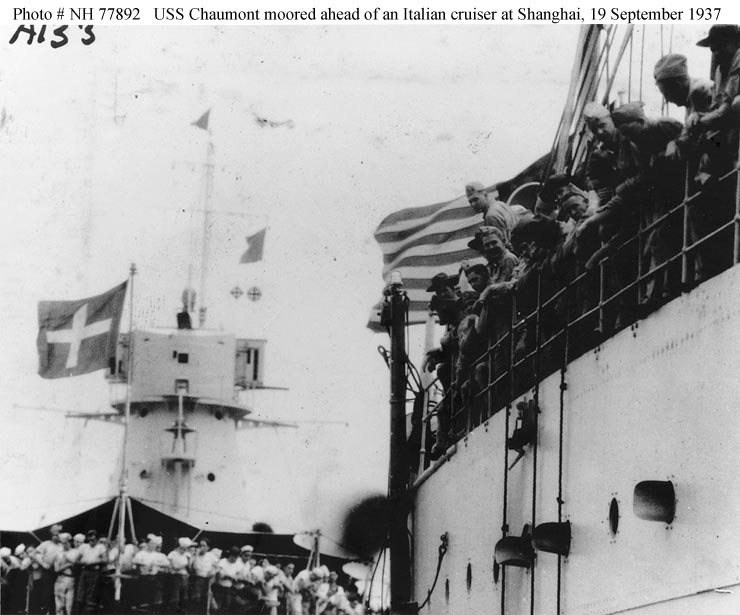 Crewmen of the Italian cruiser Raimondo Montecuccoli, moored just astern, are observing the maneuver. Note the Italian cruiser's truncated conical tower forward superstructure and the jack on her bow. 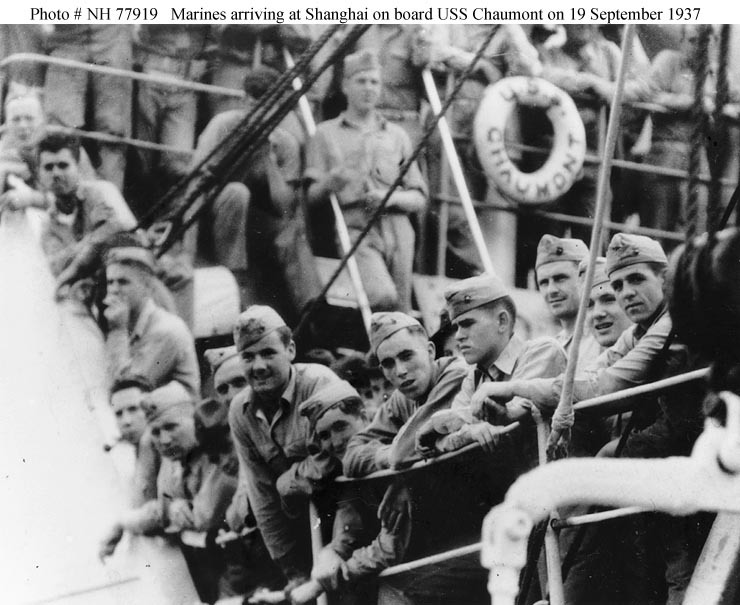 Men of the 6th Regiment, U.S. Marine Corps, look shoreward having just arrived at Shanghai, China, on 19 September 1937. 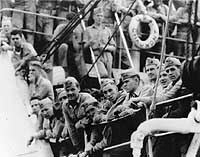 They had been sent to reinforce the 4th Marine Regiment in guarding the U. S. sector of the International Settlement during the Sino-Japanese war. 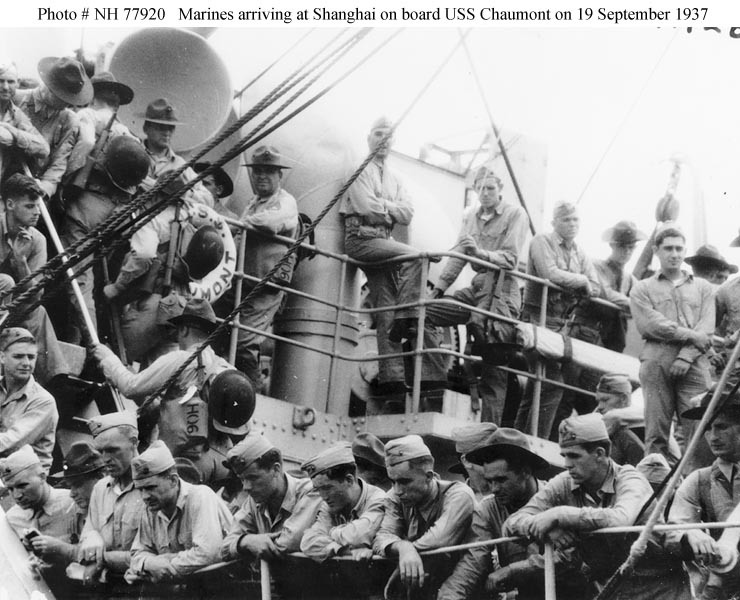 Men of the 6th Regiment, U.S. Marine Corps, display various emotions during their arrival at Shanghai, China, on 19 September 1937. 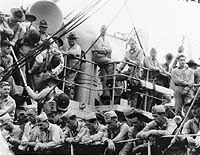 They had been sent to reinforce the 4th Marine Regiment in guarding the U. S. sector of the International Settlement during the Sino-Japanese war. 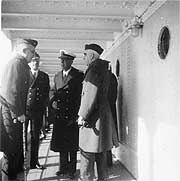 Admiral Harry E. Yarnell, USN, Commander in Chief, U.S. Asiatic Fleet, (middle, wearing white cap cover). Colonel Thomas S. Clarke, USMC, Commanding Sixth Marine Regiment, (right). 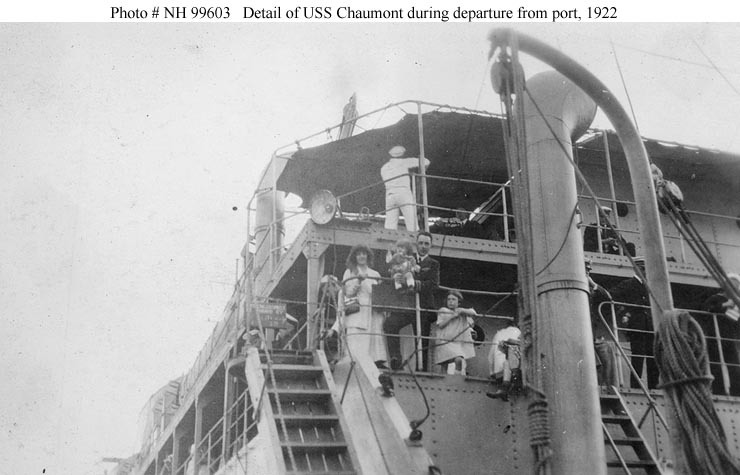 Courtesy of the Naval Historical Foundation, from the Yarnell-Thomas Collection. 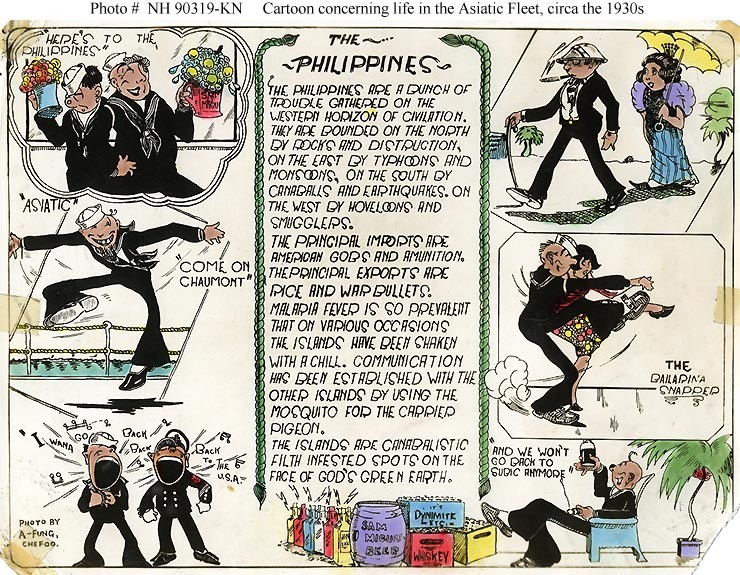 1930s vintage hand-tinted photograph by the A-Fung Studio, Chefoo, China, reproducing a cartoon about Sailors' attitutes concerning Asiatic Fleet service in the Philippines. Collection of Chief Warrant Officer George N. Gaboury, USN (Retired), 1979. 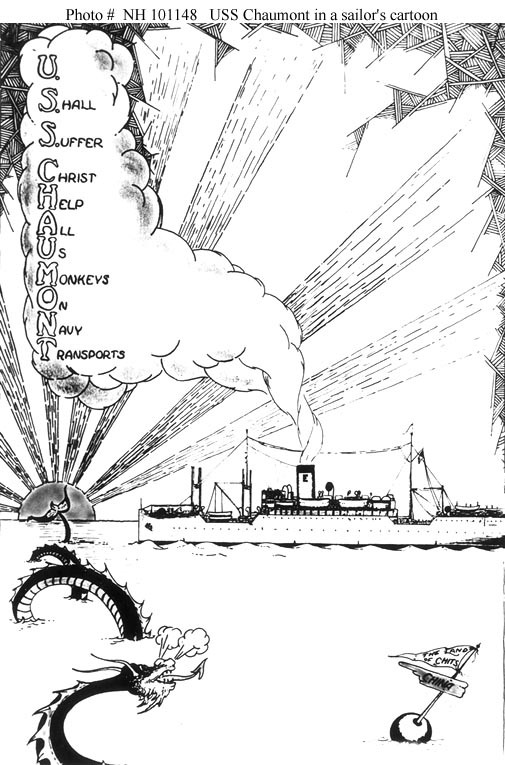 Cartoon reflecting a sailor's view of life on a Navy transport, in passage to or from the Asiatic Fleet, circa the late 1930s. From the album of Harold Gerwien, courtesy PH1c Harold Gerwien, USN (Ret. ), 1986. 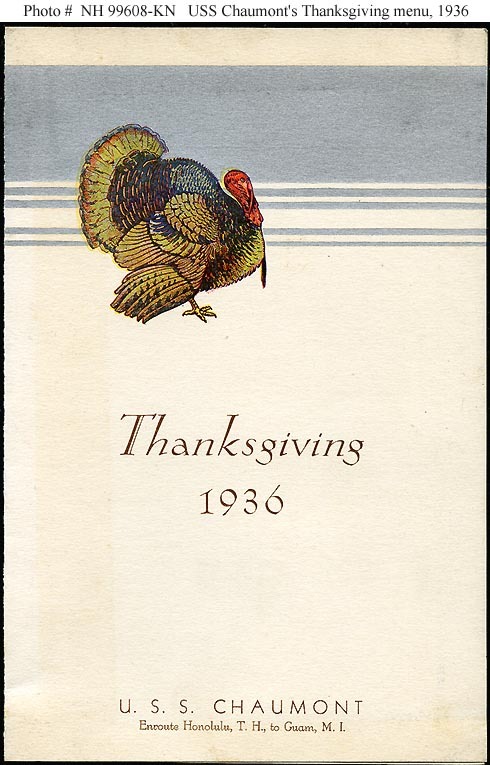 Front page of the ship's Thanksgiving Day menu for 1936. The menu's two inside pages are reproduced as Photo #s NH 99608-A-KN and NH 99608-B-KN. 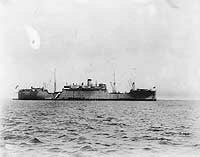 Collection of Lieutenant Oscar W. Levy, USN (Supply Corps), Retired. 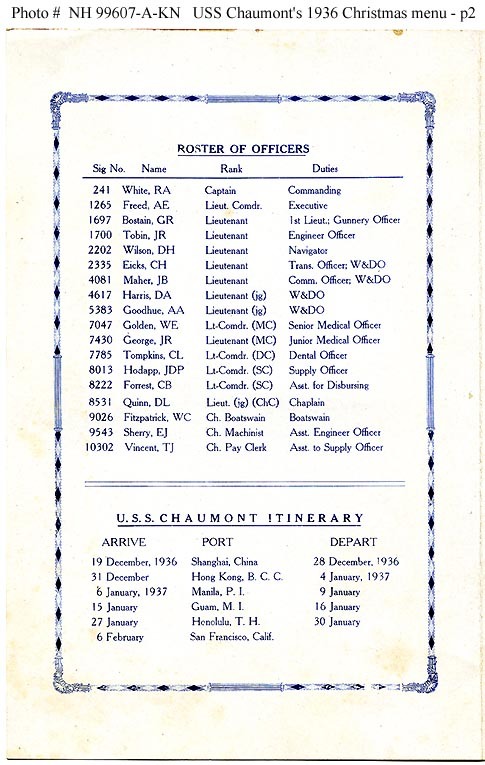 Page 2 of the ship's Thanksgiving Day menu for 1936, featuring a roster of her officers and her itinerary for 16 November 1936 — 6 February 1937. The menu's front and third pages are reproduced as Photo #s NH 99608-KN and NH 99608-B-KN. 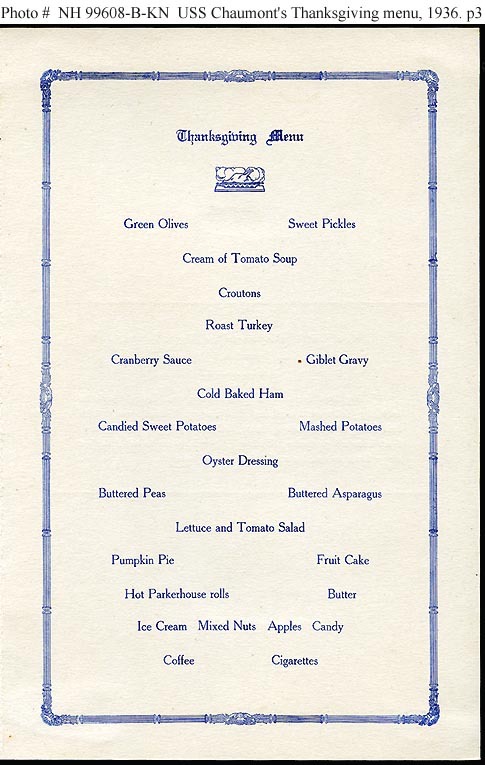 Page 3 of the ship's Thanksgiving Day menu for 1936. The menu's front and second pages are reproduced as Photo #s NH 99608-KN and NH 99608-A-KN. 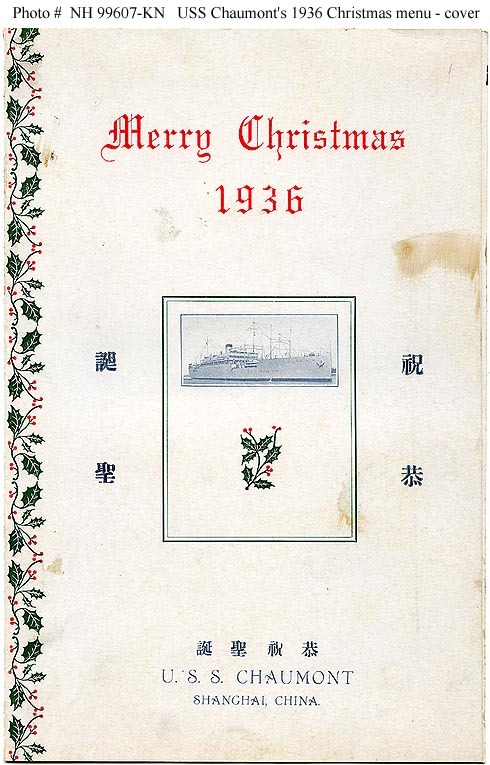 Front page of the ship's Christmas menu for 1936. The menu's two inside pages are reproduced as Photo #s NH 99607-A-KN and NH 99607-B-KN. The back page, featuring four verses of the hymn "O Little Town of Bethlehem! ", is too badly disfigured to reproduce. 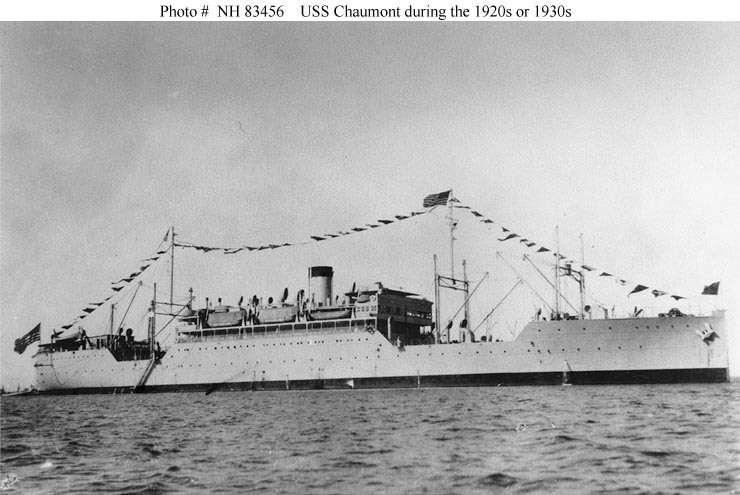 Collection of Chief Warrant Officer George N. Gaboury, USN. 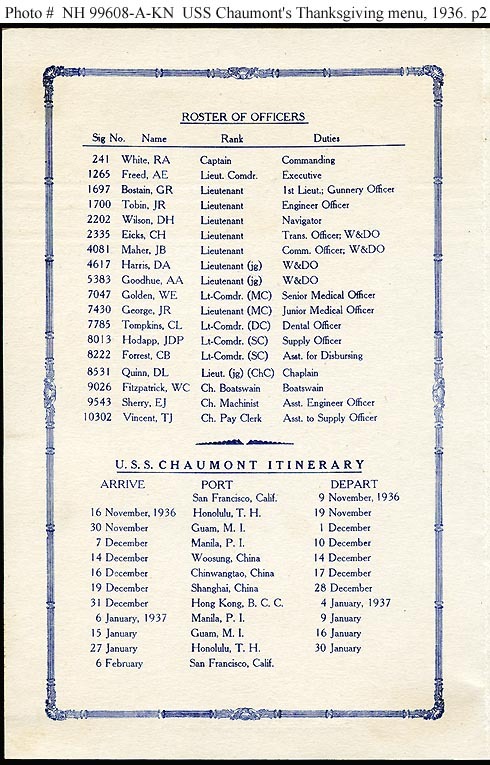 Page 2 of the ship's Christmas menu for 1936, featuring a roster of her officers and her itinerary for 19 December 1936 — 6 February 1937. The menu's front and third pages are reproduced as Photo #s NH 99607-KN and NH 99607-B-KN. 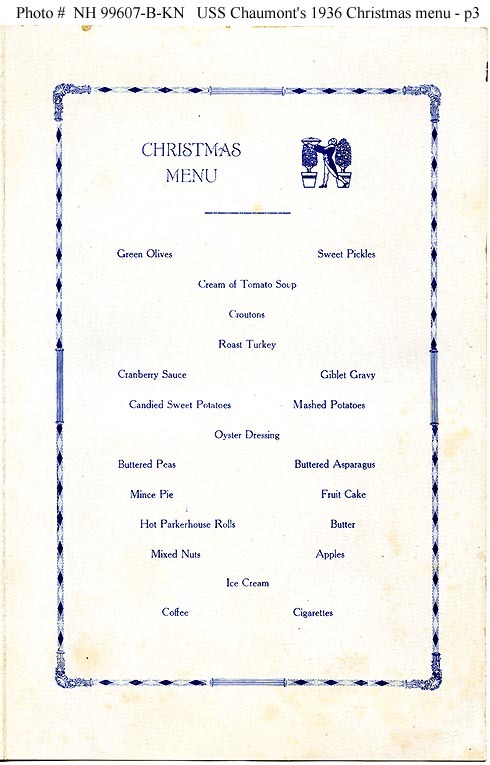 Page 3 of the ship's Christmas menu for 1936. The menu's front and second pages are reproduced as Photo #s NH 99607-KN and NH 99607-B-KN.